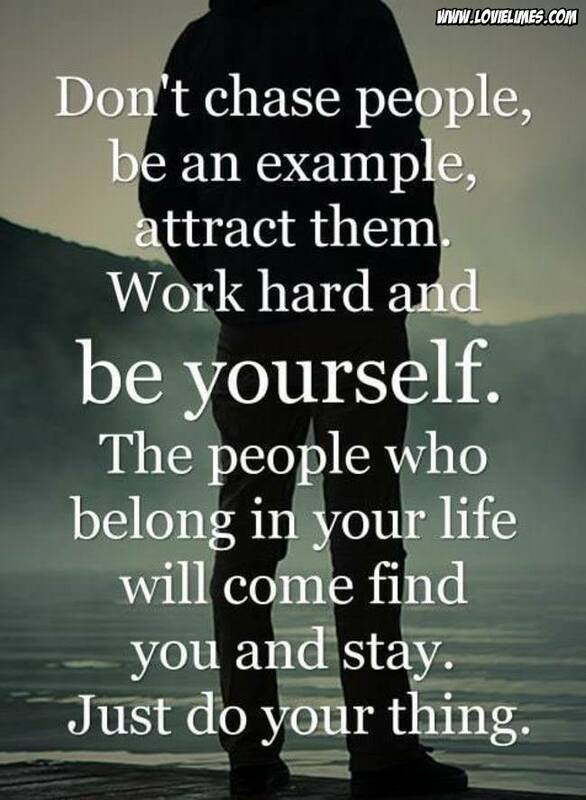 Don’t chase people, be an example, attract them. Work hard and be yourself. The people who belong in your life will come find you and stay. Just do your thing.